Walk into any Best Buy store in the US and chances are you'll find an Oculus Rift demo station set up to show off the headset's VR capabilities to any customer willing to give it a whirl. While that's a great guerilla marketing tactic, it's now come to light that the number of Best Buys with these so-called pop ups is about to be much fewer: Oculus is shutting down 200 of its 500 demo station in Best Buy stores, as first reported by Business Insider and confirmed by Oculus. An internal memo reviewed by BI points to "store performance" as the reason behind the closures. Low foot traffic and days between employees giving a single VR demonstration to customers are chronicled in the report. The number of customers popping into the pop ups seems to have taken a sharp dive after Christmas, but while sales during the holidays reportedly weren't stellar at stores of the workers BI spoke with, one said that isn't the point of the demos. 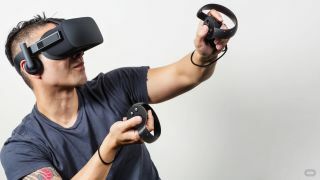 When asked about the demo station closures, Oculus spokesperson Andrea Schubert confirmed to TechRadar the Facebook-owned company is making the move. "We're making some seasonal changes and prioritizing demos at hundreds of Best Buy locations in larger markets," Schubert said in a statement. "You can still request Rift demos at hundreds of Best Buy stores in the US and Canada." Indeed, customers will still find demos operating at around 300 Best Buys in the US as well as Microsoft stores and other retailers in Canada, the UK, France and Germany. Schubert pointed to Live.Oculus.com as the best place for customers to find demo locations near them. And Oculus Rift and Touch controllers will still be on sale in the stores that are shuttering their pop ups - there just won't be demos to try out the hardware before buying. A holiday drop off is to be expected and adjusting its focus based on shopping trends makes sense, but the station closures still raise questions about how Oculus Rift sales are performing overall. Neither Oculus nor Facebook have broken out sales numbers for the headset. Facebook CEO Mark Zuckerberg has called Oculus a long-term investment, and recently said it will be quite a while before VR is profitable. Live demos seem to be Facebook and Oculus' best chance to charm shoppers into the still new world of virtual reality, especially considering Rift's expensive $600/£499/AU$859 price tag. Business Insider says Facebook is considering permanent, standalone stores to show off and sell Oculus Rift and related hardware, though talks around those are reportedly just beginning. We've asked Facebook if it's thinking about opening its own Rift stores, and will update this story if we hear back.